The Swedish Navy has two major military drills scheduled for September (Aurora and Northern Coasts) to boost the Nordic country's defensive abilities against a fictitious enemy which bears striking similarities to Russia. Sweden is also working hard to "reclaim" its submarine detection capabilities after a series of painful setbacks. Sweden's ability to detect submarines in the Baltic Sea came under scrutiny after the country's painfully fruitless submarine hunt in the Stockholm archipelago in autumn of 2014 that cost Swedish taxpayers $3 million, while only yielding grainy pics of what was purported to be a " Russian submarine" and later proved to be a civilian boat. In the aftermath of the submarine hunt, the Swedish Armed Forces were given a number of concrete tasks in order to strengthen the country's underwater defense. Surveillance ships will be acquired, corvettes approaching retirement will be modernized, and new sensors will be placed in the archipelago. Amid other measures, Sweden's "red-green" government tried to reassure the public by reducing conscription. 4th Naval Flotilla Commander Fredric Palmquist told the Swedish daily Svenska Dagbladet that the plan entails both new tasks and extra funding, playfully adding that the Swedish Navy "is not used" to this sort of thing. According to Palmquist, retrieving the nation's submarine defense is not something accomplished in the wink of an eye. Palquist argued that it was hard to estimate the exact amount of time needed, yet surmised that it might take as long as twelve years, given Sweden's armament experiences of the 1980s. "It takes some time and it's quite expensive," Fredric Palmquist told Svenska Dagbladet. According to him, the Baltic Sea is a particularly nasty location for hunting submarines. To begin with, it's shallow, which contrary to a layman's understanding makes things more complicated, due to numerous layers having different temperatures. Palmquist compared the brackish waters of the Baltic to a game of mirrors, noting that sonar signals also constantly bounce off the seabed to create a constant background noise. "It's the laws of physics we are working against," Palmquist said. 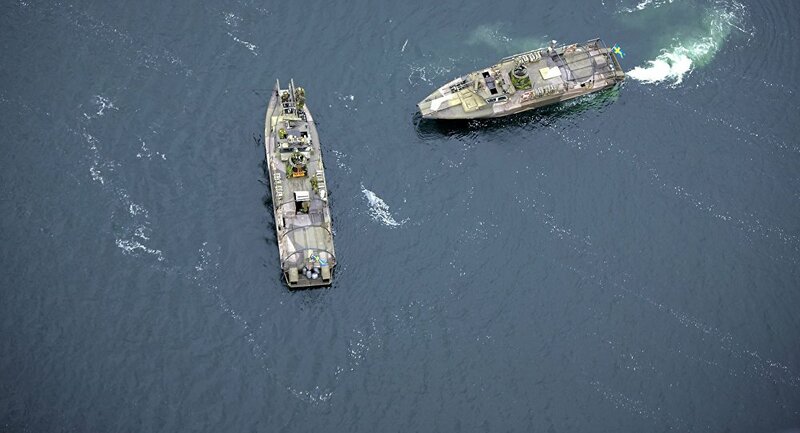 In September, the Swedish Navy is taking part in two major marine exercises. First off, there is the Northern Coasts exercise, which for the Navy's part directly transcends into the international exercise Aurora, starting on Monday. According to Palmquist, both are large and important exercises, with Aurora being particularly "stimulating" as Sweden gets to practice with the US military as an opponent. "We can plan and engage in tactical activities without knowing what happens on the other side," Palmquist said. At the same time, Palmquist said the exercises will hardly be as revolutionary for the Navy as for other parts of the military. Since the Navy mostly consists of permanent units which participate in exercises continuously, Palmquist called Aurora an ordinary exercise "like any other day." Starting on Monday, Aurora 17 is non-aligned Sweden's biggest military exercise in 23 years. As if incarnating Sweden's mounting anti-Russian paranoia, Aurora 17 features a fictitious enemy, whose borders mysteriously coincide with Russia. ​Aurora 17 will involve a total of about 20,000 sea, land and air troops from all over Sweden, including some 1,500 soldiers from the US, as well as fellow Nordic and Baltic countries. The total cost of the exercise has been estimated at $73 million. On the home front, Sweden, which is one of the few remaining European countries that remain outside NATO, is selling the exercise as a renewed focus on national defense after more than a decade of prioritizing international missions. ​Incidentally, non-aligned Sweden's burgeoning romance with NATO has re-kindled the debate about the country's membership in the alliance. According to 2016 figures from the SOM Institute, NATO supporters outnumbered NATO opponents, while a majority of Swedes still wanted the country to retain its freedom from the alliance.